1. Add 1 gram of KNO3 into a measured container and fill to 1 liter with distilled water. This results in 386.7 mg/L of K.
2. Take 51.72mL of the solution and add into another measured container. 3. Then add 948.28mL of distilled water to the container. This results in 20mg/L of K solution. If you want to make a 10mg/L of K solution, take 500mL of the 20mg/L of K solution and dilute with 500mL of distilled water. The original 1g KNO3 solution can be saved to make other dilutions or it can be added to the tank as ferttilizer. 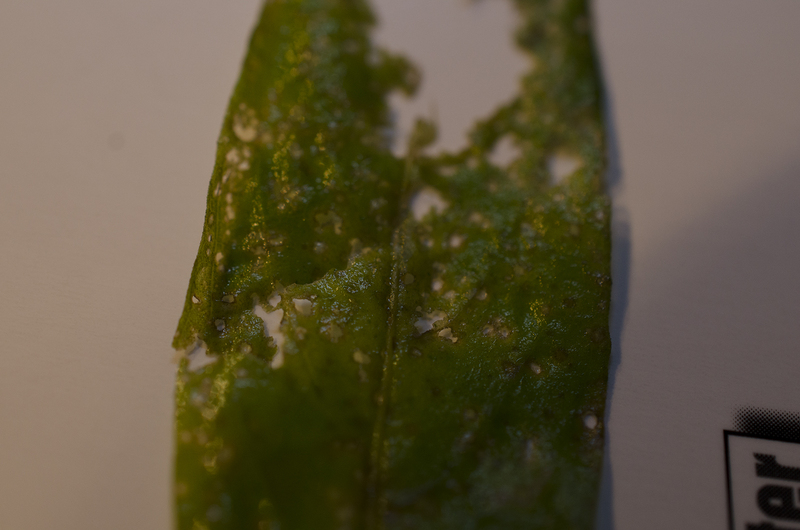 I think I've found some scientific evidence that indicates that iron toxicity results in potassium leakage and membrane damage Whether or not this is the cause of the holes is unknown until experiments on your specific plants are performed. But the description of the symptoms of iron tox are similar to my observations. 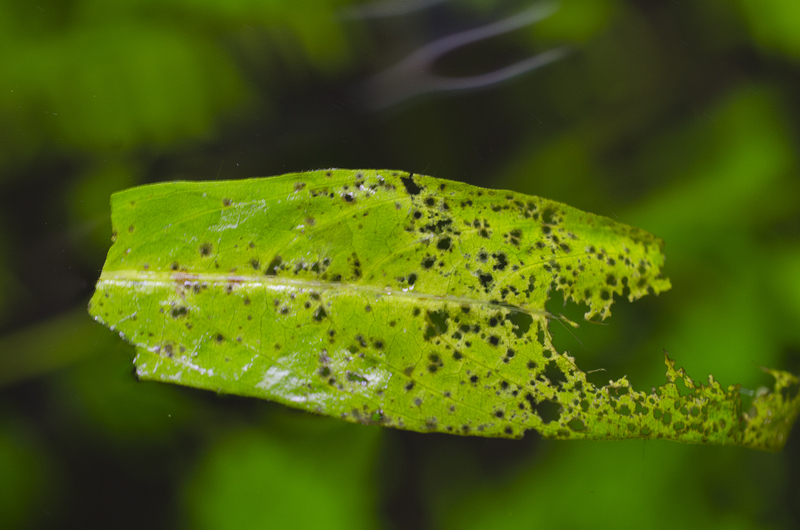 The results suggest that iron-induced damage in plants can be ascribed to a direct metal action on thiols and by toxic oxygen species. An increase in lipid peroxidation product and K+leakage are the primary responses of iron toxicity on membrane damage. However, the decrease in chlorophyll content is part of the overall expression of iron toxicity. Solcielo lawrencia and Solcielo lawrencia like this. Here are some pics I took. Kinda hard to focus, hope they are good enough though. No need to do that. If we did reference solutions like that in the lab we would get a slap over the head from the lab coordinators, not to mention false calibrations. In a perfect world, the method suggested provides the result but is likely the worst way to do it. Maybe he was laughing at you when he asked you to measure 0.01mL at home accurately??? When you create reference solutions you want to reduce errors as much as possible. This includes errors that come from the measuring equipment, So if your scale has +/- 100mg, your 1g can be in reality somewhere between 0.9 -1.1g, 10% error. Add 100g on the same scale, 99.9-100.1g, 0.1% error...better ? 52g lab grade KNO3 in 1L RODI water, mix until dissolved and then some .. you now have 20108.4ppm K in that solution. I have some Aqua Rebell Mikro Spezial around, rather easy to get here in DE. Let me know if you are interested in running a validation experiment with it. Fissure, Fissure, Savetheplants and 1 others like this. Yeah I am taking the tox warnings with a big grain of salt. Since really no solutions or numbers or pretty much anything can be presented more than pretty much everything is toxic in the trace mixes. Though I am intrigued by some claimed success stories that I read here. But then again there is no pictures to prove anything so not sure what to make of it. I am into my 2nd week without traces now and have seen no changes other than my plants have pretty much stopped growing (compared to before at least). So I will continue with traces. Gonna try the AR-Eisenvolldunger for a while and see how it works out. It is a bit low in Fe though. Might be a good thing or a bad thing. Have prepared with TNC Iron (DTPA) incase the tank needs a boost in the future. Then again I cannot find any solution to my pinholes, gonna see if the GH booster will help. Though I doubt it is related to Mg deficiency? Added some pics for you, got any ideas? It's a trace tox. Anyone who says different probably has no experience with toxicity or can't identify them even when directly looking at them. Even some of the most experienced cant identify them even when its in their own tanks. They've become so accustomed to that kind of growth that they think it's normal. One of the biggest misunderstandings about traces is that most people think it's just one thing when it's several individual metals. You stopped traces but which ones were causing issues? Which ones became deficient? If you expect fast results, you likely won't get any and you deserve what you get because it's what you put in. Let me first recant this entire method with the fact I am a laboratory scientist myself (M.S Physics), and understand the differences between what we have in the lab, and what is available to most people in their homes. The method you have outlined, that while it might produce a more accurate result in a lab, is not something that should be done at home by an untrained individual without precise instrumentation. You have turned a two step process into an human error inducing nightmare. How many times do you want him to use a 100 mL graduated cylinder (provided he even has one, and knows how to measure accurately with it) to split up stock solution, and measure / split fresh water? Looking over your methods, there are FAR to many times a layman could make an error...perhaps even bigger than the 3% your trying to fix. Sure there will be some error when rounding the volumes / mass to integer values (using solcielo's method), but by far and away within the margin of precision for the test he is using anyway. Obviously precision is considered by the least precise instrument used (JBL test kit). This is assuming he has a calibrated gram scale which can be obtained for about 15 dollars from amazon. Mine is accurate to 0.02 gram (calibrated using 250 g). I bet you were laughing when you insisted someone use 52 grams of lab grade KNO3 in your solution? Even if your method is 3% more accurate, there would be absolutely no benefit to it in this application. The OP is looking for an eye-ball range. He wants to know if he has 20,25,30 ppm of K; not 23.1 or 22.5 ppm. Unless you are trying to teach the OP fundamentals of laboratory measurements, I suggest you stick with the best way to do something, not the proper. Use Solcielo Lawrencia's method and round 51.72 mL to 52.00 mL. Round 948.28 mL to 948.00 mL. Your results will be the same when observed by the human eye whether you use Duky's or Solcielo's methods. Save yourself 51g of KNO3 and peace of mind knowing you didn't spill a milliliter between Duky's step 2 and 3. You might be absolutetly right or wrong. I have no idea. I am not expecting any results after two weeks ofc but this is what I noticed so far. It seems you are 100% certain it is toxicity. Care to elaborate as to why? Which of the heavy metals are causing it? I cannot as a hobby plant grower do much with the information you are giving me. 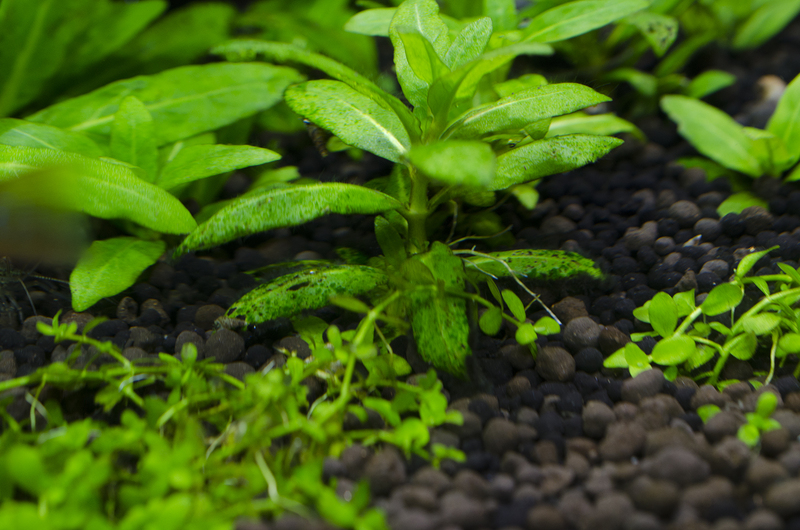 You cannot expect any hobby grade plant grower to sit and tailor a custom trace mix for one specific tank taking into consideration several heavy metals. Most of which we cannot measure for at hobby grade levels and follow their uptake. Slap ontop of that several living variables in the tank changing the needs from day to day. Or am I missunderstanding what you are saying totally? Once again I am not saying you are right or wrong nor do I want to ignore what you are saying. But again I cannot do anything with the information you are giving me. But you might be right about that as well, maybe we cannot grow healthy plants without making it our fulltime job? I just really hope that is not the case. As for the Iron tox article you presented earlier, did the full article mention at what levels the FeCl3 became toxic? And how how much of this Iron Chloride is there in the trace mixes we add? Do not take this as any form of attack though, just frustrated with pinholes and not knowing what to do. Thanks for your input. Unfortunately I only have a 1 gram scale (without decimals) so I guess I will have to get a better one. I do not care what way to do this just as long I can do it at home with a reasonable accuracy +-2-3 ppm perhaps. I just wanna know if the tests are somewhat accurate or totally off. 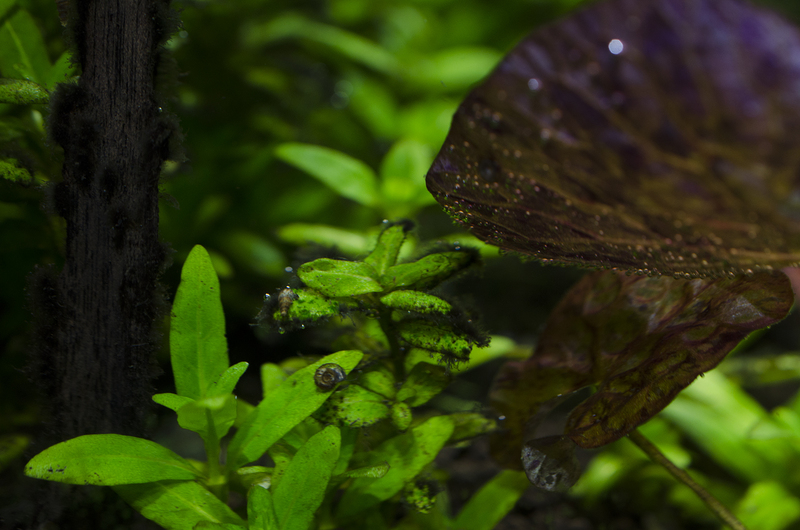 Im starting to wonder if some of the damage is from Trumpet Snails? I have a [censored][censored][censored][censored]load of them and no luck in getting rid of them. Try to catch the larger ones at night when I come home from work that are crawling up on the glass. But it's a futile effort at best. Can see thousands of eggs on plastic in the tank and filter? And some of the damage seem almost a perfect match with that from the damage section a bit down. Maybe grasping for straws here. 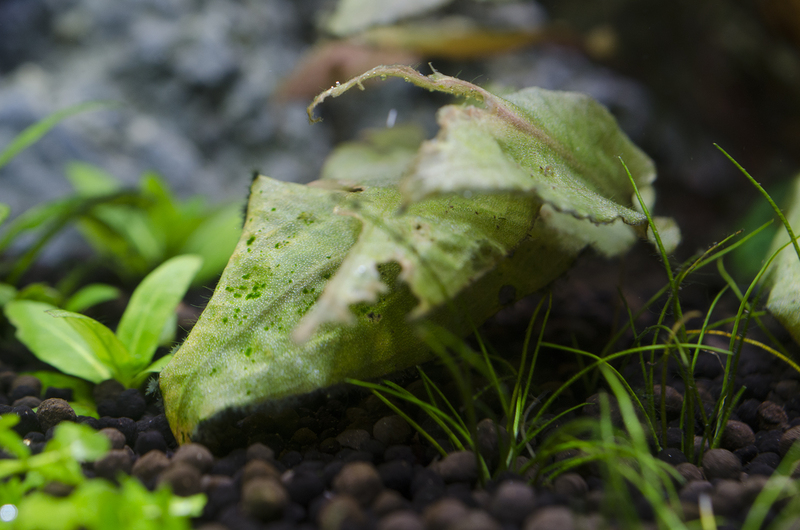 The small tank does not have a snail problem though and I cannot see this type of damage in that tank. One species have what looks like a perfect match for potassium deficiency. Might be induced from tox (cannot remember the plant species atm though). 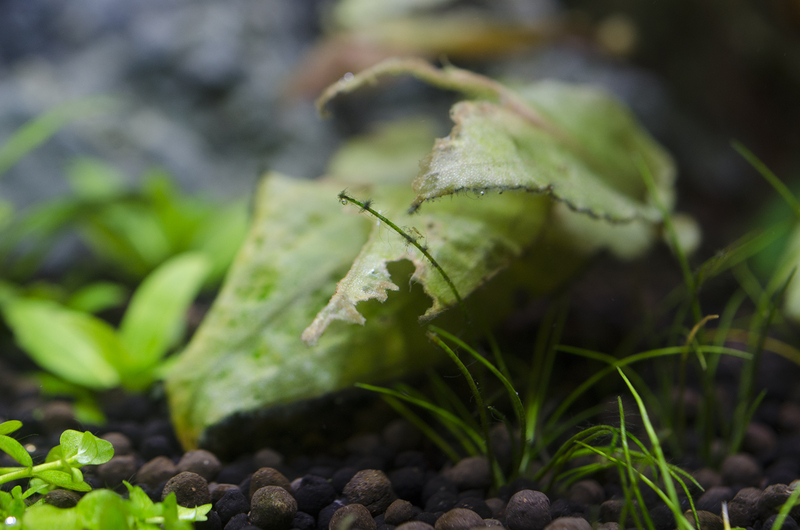 Wish I could use a snail killer in the big tank but I don't want to kill all my amano shrimp and catching them all would mean ripping out everything in the tank. Just got home in the middle of the night here after work. 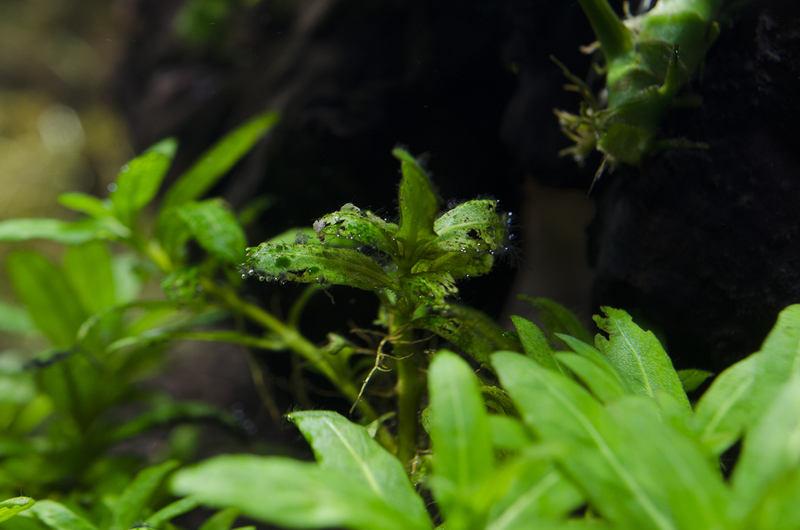 Could it be the plants starts to leak sugar at the snail damage and the algae gets a hold and the entire plant eventually weakens? 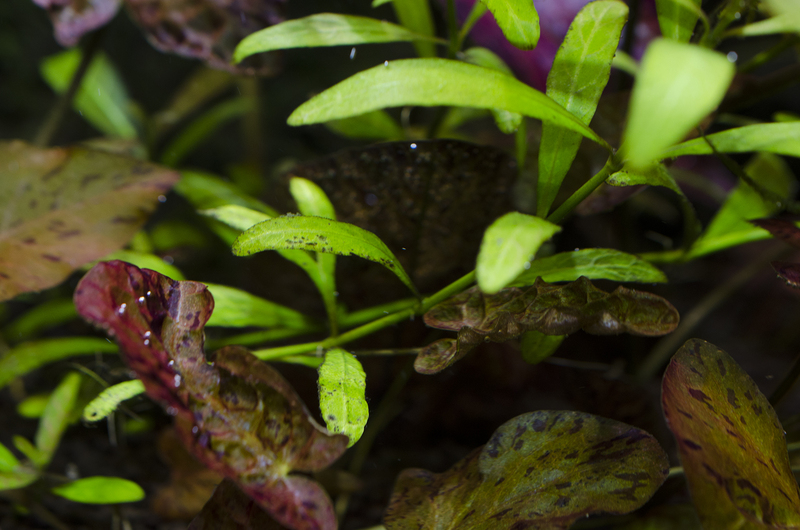 They seem to be most frequent close to the substrate on the lower leaves. Though some seem to munch a bit higher up as well. 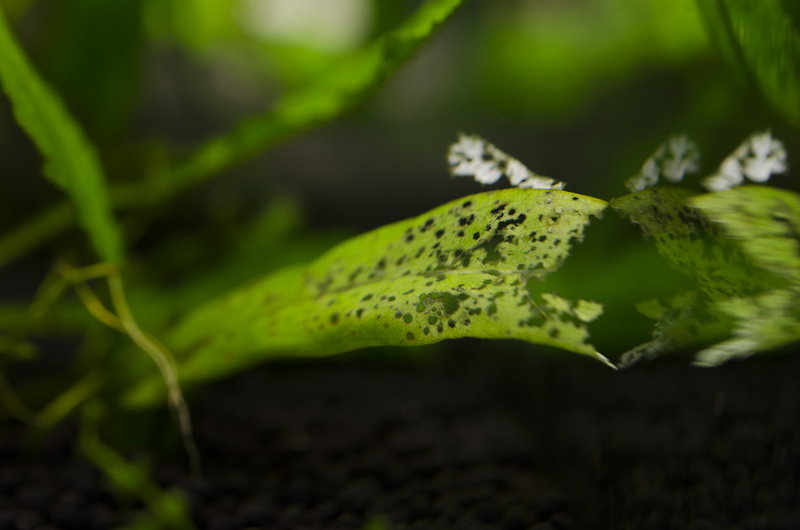 I don’t think the spots on the H pinnatifida are the results of snail damage, but I do not know firsthand what causes them. 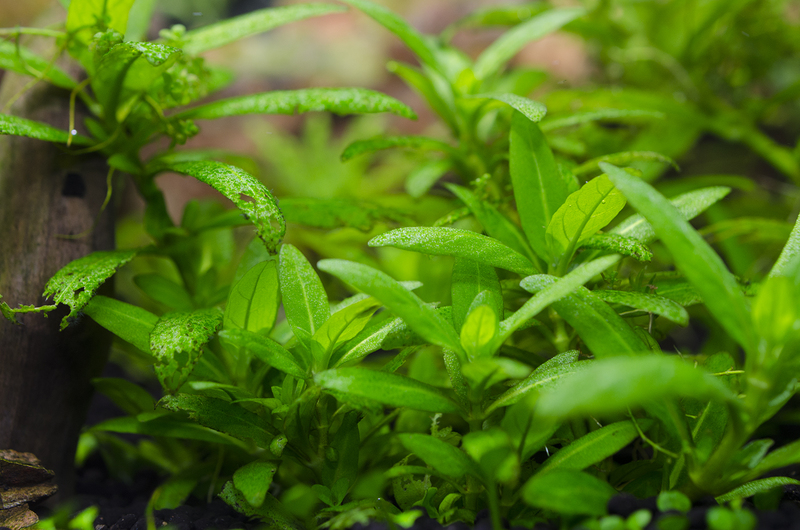 I have this plant in my aquariums, I will try to induce/cure these spots when I have some time to set up a real experiment. I’ll let you know when I have something to show, instead of just coming up with fascinating dreamlike explanations like others. I have to confess, that the method I described is standard operating procedure in the lab, even for training students. You know why, because it is easy to do, provides accurate and precise results time and time again and it does not require expensive/specialized equipment. It is used exactly to reduce error. Lab humans are just as prone to error as “the layman”, this is why we use the serial dilution. If we were not susceptible to errors we would dose exactly 1µl. Many newbie students and experiments show that it is not as you describe it. Serial dilution is something so easy that it is taught in high school here in the EU in the chemistry class, not an advance lab technique. I would say measuring 10ml requires less precise instrumentation than measuring 51.72ml, wouldn’t you ? 52g or 1g ? I respect the OP enough not to insult his skill in measuring 10ml. Notice I picked 10ml not 1ml precisely to make it easier to accurately measure. Don’t feel confident ? do it with 100ml. Made and error ? there is plenty of stock solution to retry. I bet you were laughing when you insisted someone use 52 grams of lab grade KNO3 in your solution? He wants to know if he has 20,25,30 ppm of K; not 23.1 or 22.5 ppm. Unless you are trying to teach the OP fundamentals of laboratory measurements, I suggest you stick with the best way to do something, nt the proper. A reference solution is a reference solution no matter where you do it and what your aim is. It should provide an exact, known concentration of a solute, ie a 20ppm K ref. sol. Should have 20ppm K. Knowingly introducing errors is not part of the process of creating a reference solution. A solution that has 20-23ppm K is not a reference solution. Duky: Are you using AquaRebell stuff yourself? My 5L eisenvolldunger came today so I installed. Should be good for a little more then a year. Holding my thumbs that it is good stuff. Gonna keep track of the FE levels and might add a bit more from e pure iron source later on. Also cut the EI macros by 1/2. Unsure if it is a good idea though.